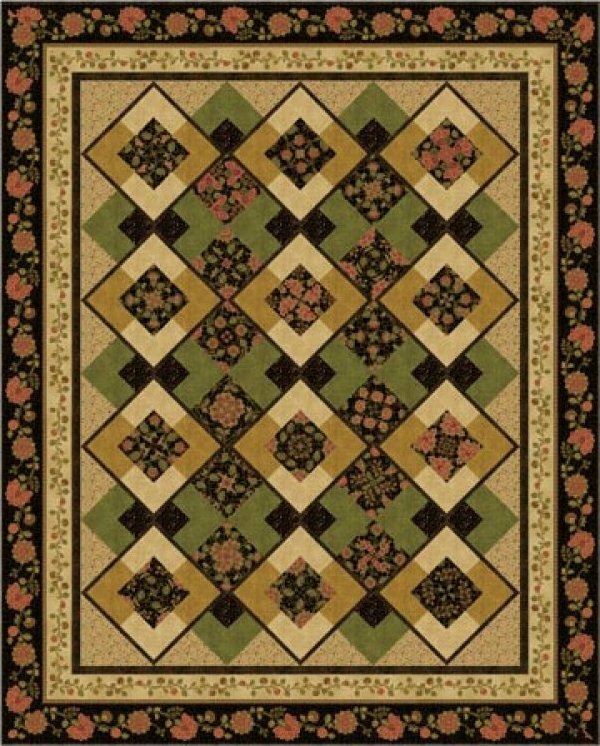 Belle Kaleidoscope by Quilt Moments-PTN435-10897284002253, QM125, Includes Twin & Queen, Optional 4-patch Kaleidoscopes-Create an optical illusion with simple blocks and an argyle design in this whimsical quilts. The quilt features optional east 4 patches made from a large print. The same fabric may be used for the wide border or you may chosse a coordinating border stripe fabric.